Find the lowest prices for French Language Courses in France! Are you looking for french language schools in France or a french summer school in France? How about study french in France or language courses for adults in France? Whatever type of french course you are looking for, Languagebookings.com will help you find it—and at the lowest possible price! Browse over many French schools in many locations in France until you find the french course and school that is right for you. We make it easy to find discount prices at the most popular schools in France and we provide detailed school information, photos, videos and students reviews for a great variety of French schools in France. Choose Languagebookings.com for all your courses reservations, and see why more and more students are choosing us to study french language in France! Have you been wanting to study French in France? Are you serious about learning the French language? Have you been learning French at the nearby community college from an American teacher who has never been to France? This is why those who are planning to study French in France will get top quality instruction and pronunciation lessons that they won’t be able to get anywhere else. Why spend for second best language lessons when all you need to do is make a decision to study French in France in order to learn the right way of speaking French. While in France, you can immerse yourself in French culture and go on some sightseeing trips with your fellow French language students. Some of the most popular attractions you can check out as you study French in France include Disneyland Paris, Fontainebleau Forest and Castle, Notre Dame de Paris Cathedra, the Louvre Museum, the flea market in Saint-Ouen, the Eiffel Tower and the Georges Pompidou Center. Other places of attraction include the Sacre Coeur basilica, the Monte Carlo rock, the Notre-Dame de Lourdes sanctuary and the Saint Cloud national domain. As you study French in France, you can also arrange for tours to see the chateau in Versailles, La Rochelle old city harbor, The Island of Oleron and the Futuroscope in Poitiers. It is true that almost every country in the globe offers French classes. The only issue with this is that many times, the French language instructor is a non-native French speaker or has never even been to France. There are even some instructors who are ‘self taught’ and students think they are learning French only to realize that the language they were taught is not understood in France. This is an unfortunate circumstance you really do not have to go through if you Study French in France. 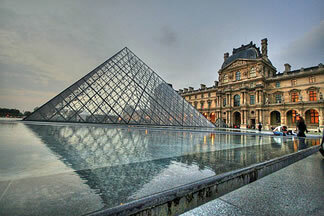 Besides getting a top grade education, you will also get the opportunity to explore the city of love. The fact that you will be forced to speak, breathe and listen to the French language which will be everywhere around you in France will no doubt help you learn to speak French much faster and cause you to never regret your decision to Study French in France. Expose yourself to real French, which you can only get if you decide to Study French in France. After all, the French language once learned, will be pretty difficult to unlearn, which means that this will be a one-time experience you will most likely be able to take with you for the rest of your life. Study French in France will not only help you speak like a native, this will most likely be one experience you will certainly never forget. 100% guaranteed, that you will pay the lowest price for French courses. We offer you the lowest possible course rates - you never pay more than if you booked directly with the school itself or anywhere else. Besides, our service is free. We do not charge any booking fees. It's very unlikely that something will go wrong with your booking once confirmed by the French language schools. In fact we're so confident, that if you don't have your course place at the selected school, we'll credit your account with your full deposit AND find another possible alternative for you.